Why use five double pointed needles when three addi FlexiFlips will do? Flexiflips come in a set of three needles that provide a dual-tip design that features both an addi Rocket tip and an addi Turbo tip. Each needle has a small 3.5" tip with a 1" flexible cord. 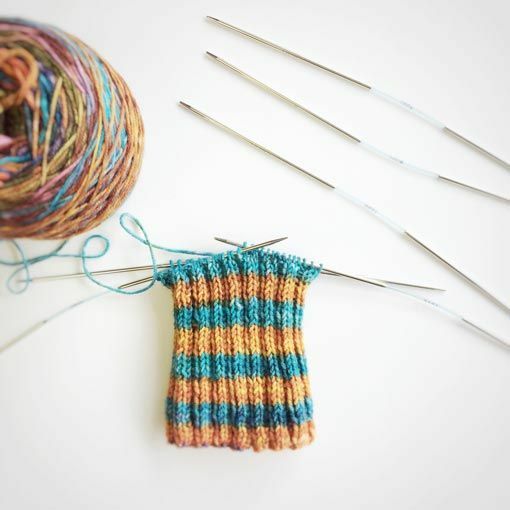 The small size of these double pointed needles make them great for socks, sleeves and cuffs. 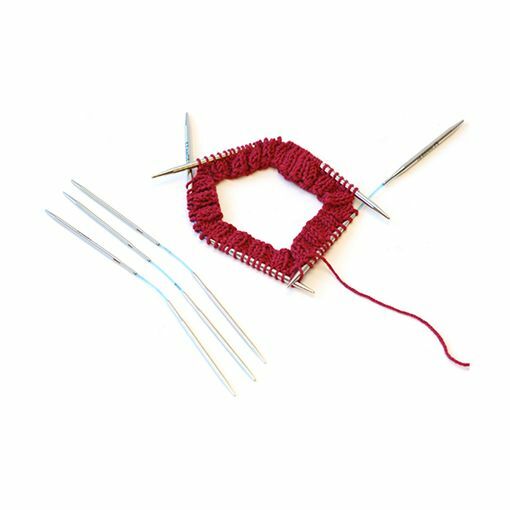 With two FlexiFlips holding your stitches, you'll be able to easily use the third needle to knit away with only two needle changes per row. As an added bonus, these work great as cable needles. 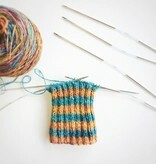 Why use four double pointed needles when three curved double pointed needles from Neko will get the job done. 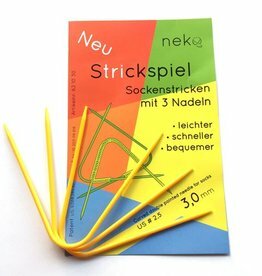 Colorful plastic for a fun knitting experience.